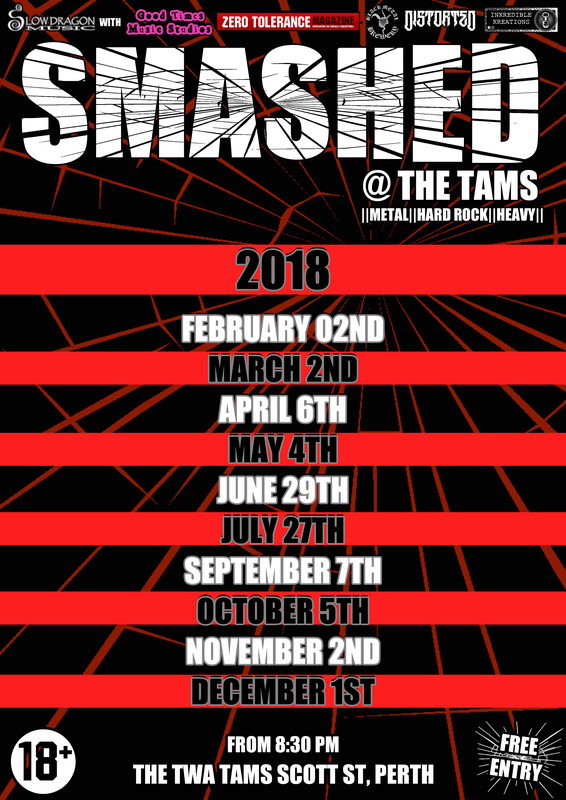 Perth’s own regular night of heavy riffs, Smashed @ The Tams is back for 2018! All dates are announced, and most slots up to Summer are fully booked. Having kicked off with the first of our Smashed “sci-fi season”, the ball is already rolling at speed. 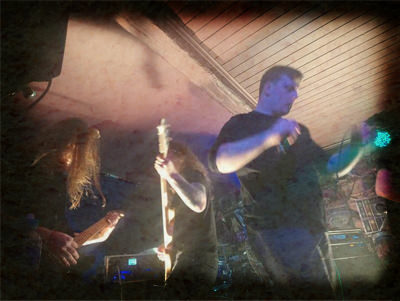 The first show, featuring Visceral Noise Department, Volcano X, and Perpetua, all of whom have appeared at Hordes Of Belial over the years, was very well received – a good sign for the rest of the year. As always, Smashed is not only free entry, but if you dress up, you could go home with a bottle of spirits! The themes which could land you the prize are ‘sci-fi comedy’, sci-fi horror’, and, of course, for May the Fourth, ‘Star Wars’. 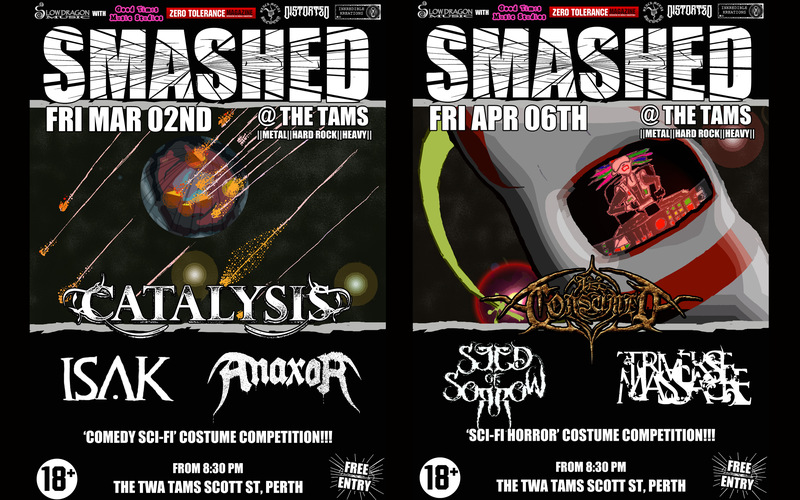 The next event hits Perth on March 2nd, with another strong Scottish line-up; local psychedelics Isak, Edinburgh’s Anaxor (made up of past and present members of Dog Tired, Firebrand Super Rock, Man Of The Hour, and The Exploited), and Dundee’s freshest name in metal Catalysis, returning for their second helping, but this time at the top of the bill. April follows with a full death metal bill, dragging All Consumed and Triverse Massacre up from the North of England, and Seed Of Sorrow down from Inverness’ dark realm. Posted in Latest News and tagged All Consumed, Anaxor, Catalysis, Isak, Perpetua, Seed Of Sorrow, Slow Dragon Music, Smashed, The Twa Tams, Triverse Massacre, Visceral Noise Department, Volcano X.